Well, I’m finally back from Africa. In fact, I’ve been back a week and a half… and I’m still trying to readjust to normal life, and work out how I can go back sooner rather than later. Oh, and I need to sort out about 4000 photos and add 250 year birds to 2014 and 400 to 2015… So , yeah, I’m kind of in a state. So I’m afraid retrospective posts on my overall trip will have to wait till I can organise my thoughts, although safe to say if you like birds you could do a lot worse than southern Africa. Corey asked that I didn’t post any albatrosses today, which suits me since I didn’t do a pelagic trip and thus didn’t see any. 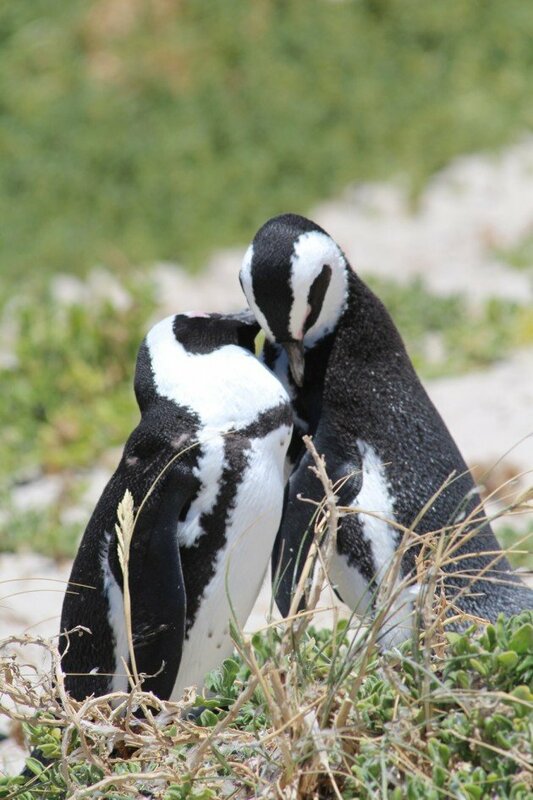 So here are some photos of penguins instead. 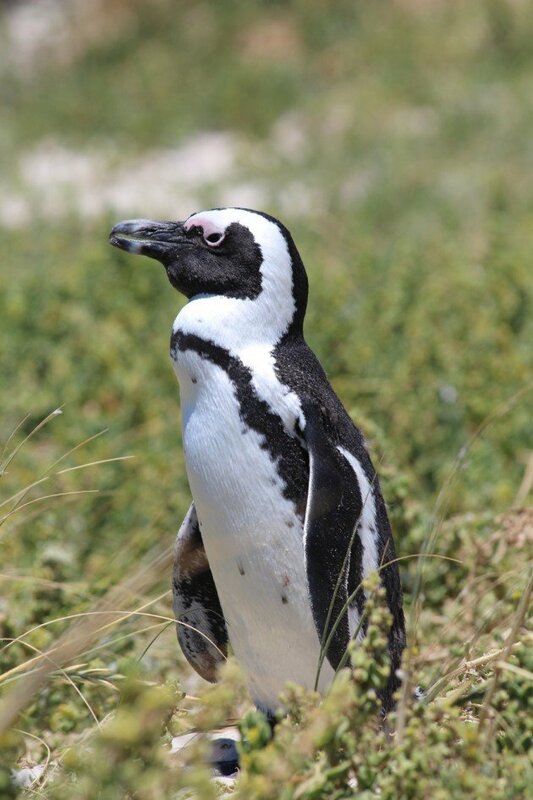 African Penguins, or Jackass Penguins as they are sometimes known, are one of those species of penguin you’ll find away from the frozen wastes of Antarctica. 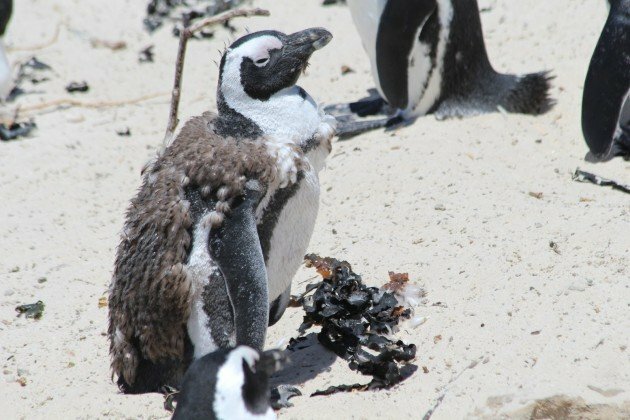 There are actually more species like this than popular culture would suggest, but even knowing this doesn’t detract from the shock of seeing them on a beach that wouldn’t look out of place in the Seychelles. 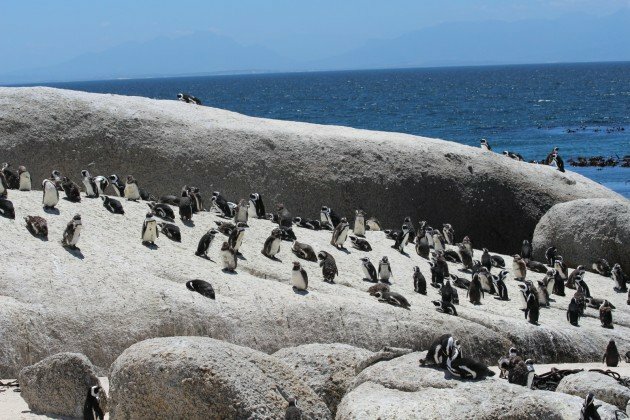 Boulders Beach, a popular spot in Cape Town, is the place to see the species, and if the mood takes, swim with them. I didn’t swim, but I may next time. 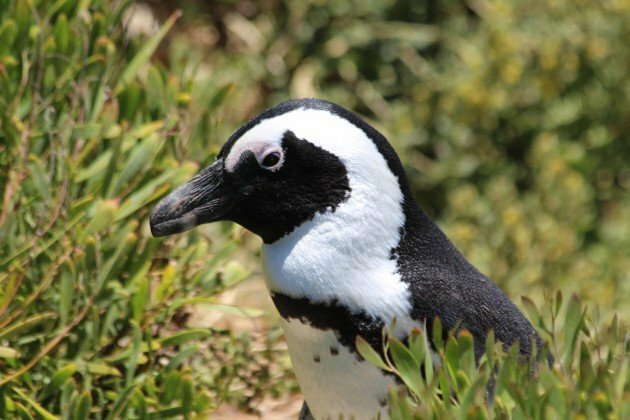 But it’s as fine a birding spectacle as you’ll find in any city in he world, and it isn’t close to being the only one in Cape Town. 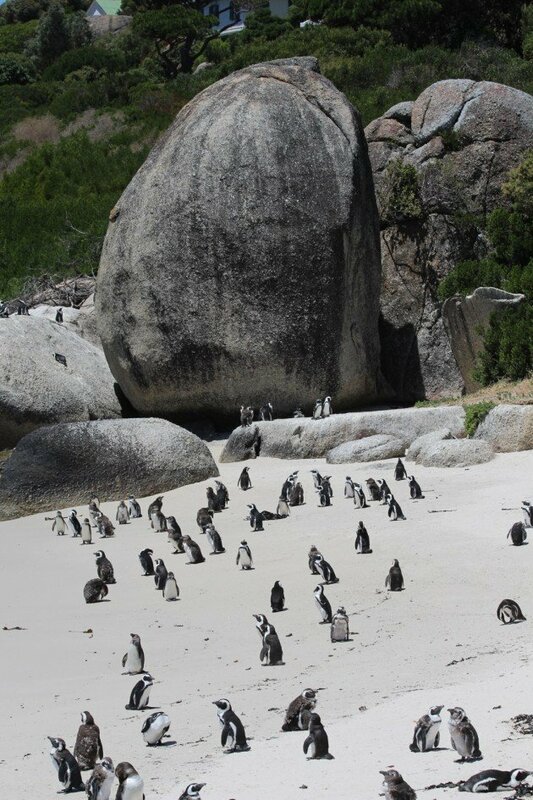 It was certainly more fun than the last penguin I wrote about. Demanding youngsters. 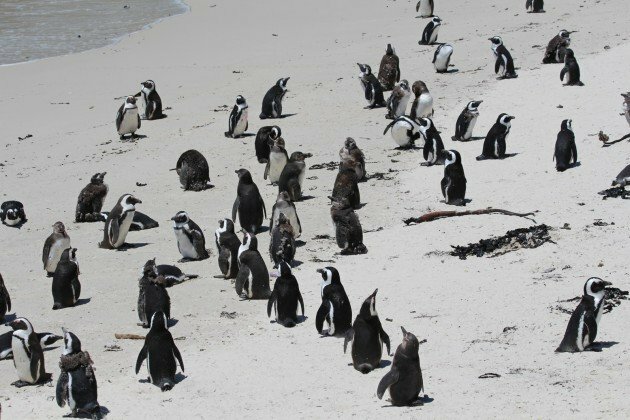 The beach isn’t just a roost, it’s a breeding site. Okay, now it’s time to go find some albatross. 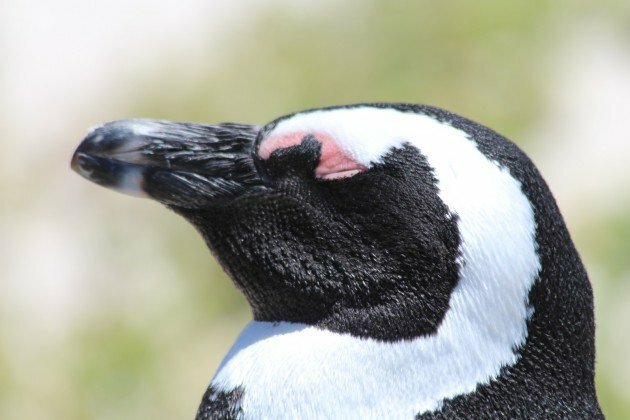 If you liked these photos of an African Penguin and want to see more great images of birds and other creatures make sure to check out 10,000 Clicks, our big (and growing) page of galleries here at 10,000 Birds. Welcome back! Looking forward to hearing all about your adventures! 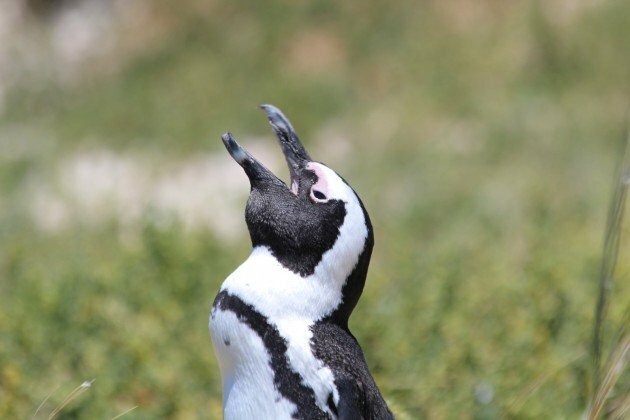 To Corey: latest taxonomic research has shown that penguins are nothing more than specialized albatrosses. This is perhaps even more unfair than albatrosses. 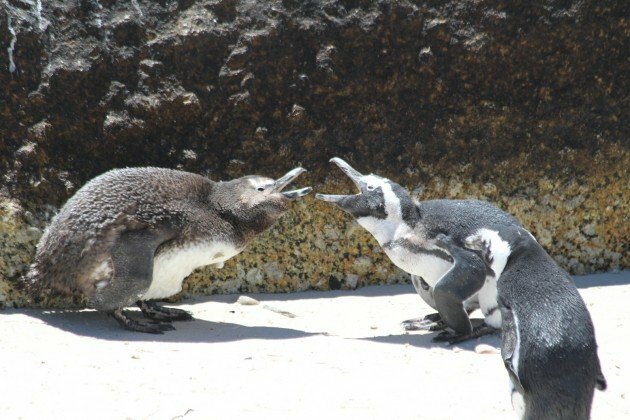 Love those Jackass Penguins. They were totally oblivious to the voyeurs…I mean humans….watching their every move. 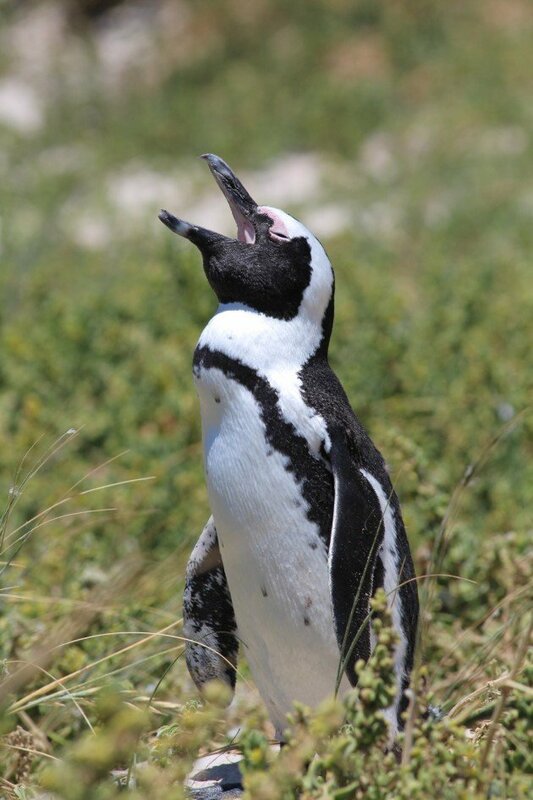 Where Are You Birding This Fourth Weekend of October 2013?